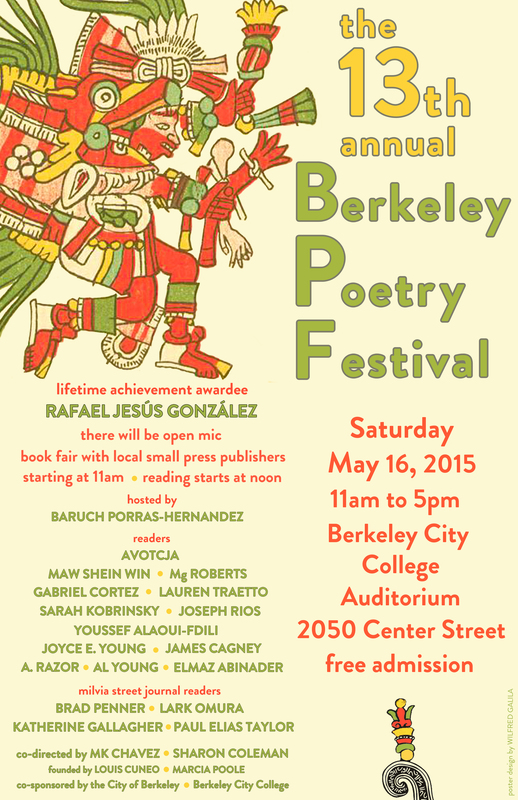 I am both excited and honored to be one of the featured poets at this annual poetry festival held this year on Saturday May 16th from 11 am – 5 pm at Berkeley City College. Many thanks to poets Sharon Coleman and MK Chavez for herding the cats and handling publicity. There will be readings, publishers, poetry books, and lots of hometown pride! You won’t want to miss it. Poet and activist Rafael Jesus Gonzalez will be honored for a lifetime of poetry and social justice. The poster is gorgeous, don’t you think?